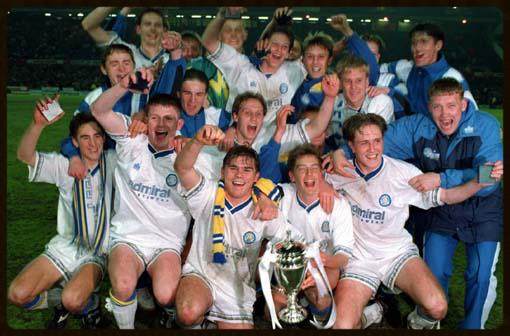 On the night of May the 13th 1993, Andy Couzens was celebrating with his team mates following Leeds United’s FA Youth Cup Final win over their counterparts from Manchester. Having won 2-0 at Old Trafford, Leeds lifted the trophy with a 4-1 aggregate win and those two victories are moments he can cherish and always look back on. “I was advised to pack up football and concentrate on badminton but that’s an option I obviously didn’t choose." “We had a great set of young lads at Elland Road, we were all in it together and there were no big time Charlie’s. Despite playing for the reserves I wasn’t sure if I had done enough to earn an apprenticeship." “There was a friendly against Grampus Eight, the side Gary Lineker had joined and not expecting to be involved, I had gone out the night before. I had to be at Elland Road on the day of the game but due to the fact that Ray Wallace was absent, I was told I’d be playing." Although a friendly and a relatively small crowd it was a fantastic experience for the youngster but that was only a taste of what was to come. The youth team had battled their way to the FA Youth Cup Final and would face Manchester United. 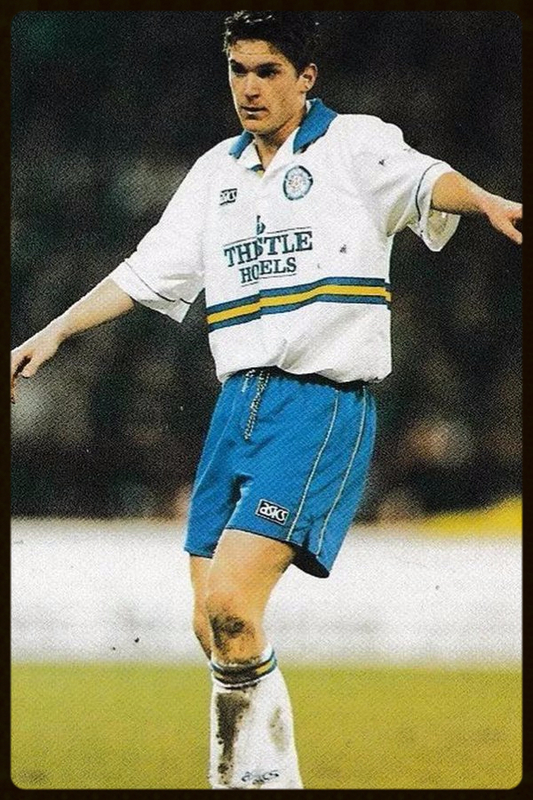 The Leeds side included Kevin Sharp, Mark Tinkler, Rob Bowman, Mark Ford, Noel Whelan, Jamie Forrester and Couzens himself, they would all go on to play in the Premier League for the Whites. “It was a massive moment for us. We knew that they were technically better than us but we wanted it more. The two games were very special occasions and all the first team squad were present at Elland Road when we lifted the trophy. "We went out into Leeds afterwards, we felt like Kings and everybody wanted to buy us a drink that night. Every player at that level wants to win the Youth Cup and we achieved that. Nobody can take it away from us and to this day, we still get together and reminisce about that season and winning the final." “I came to close to being involved the season before against Manchester United and Ipswich Town, I missed out on making the bench but I had been knocking on the door. "We played Nottingham Forest in the reserves on the Wednesday night and I did well at centre back. On the Friday I found out I was in the squad for the Coventry game. "Early on, Lucas Radebe had to come off injured and I came on for my debut. It was an unbelievable feeling to play for Leeds United and just four days later I made my full debut at the City Ground in a 3-0 defeat to Forest. "To be involved was a major boost, I had just signed a three year deal and I was enjoying my football and following my four appearances I was looking to push on in the 1995-96 season." During that season, which started so well for Leeds and finished so badly, Couzens was involved in 14 Premier League games and he also played in the League Cup and the UEFA Cup. It was in the League Cup that Andy scored his first Leeds goal in a 3-2 win away at Notts County. Although he didn’t play at Wembley, Leeds reached the final and many believe that the 3-0 defeat at the hands of Aston Villa was the start of Howard Wilkinson’s downfall. “I couldn’t have got off to a better start, I scored after about 90 seconds, it was my one and only goal in the Premier League but to be honest it was all downhill from there." “We got battered that day, Patrick Vieira ran me ragged and Graham subbed me. It was the last game I would ever start in a Leeds shirt and Paul Shepherd never featured again. "John Lukic told me not to worry, Vieira was dominating the midfield no matter who he came up against but Graham wasn’t so sympathetic." “In the end I was there with the likes of Carlton Palmer, Ian Rush and Lee Sharpe. Graham made it clear we wouldn’t be involved and we were left to train on our own. "I wanted other clubs to know I was available so I handed in a transfer request. Eventually I left to sign for Carlisle United where Mervyn Day was manager but after I’d played six games he got the sack and Michael Knighton took over. "I never saw eye to eye with him, the situation was ridiculous and he made the club a laughing stock." “I was unemployed for 12 months and despite continuously looking for work, nothing materialised until I started studying to become a Personal Trainer." “I played in the Premier League for Leeds United and won three caps for the England u-21s. I played in the UEFA Cup and won the FA Youth Cup. Nobody can deny me those achievements and I look back with fond memories." Thank you to Andy Couzens for giving me his time and the opportunity to write this article.